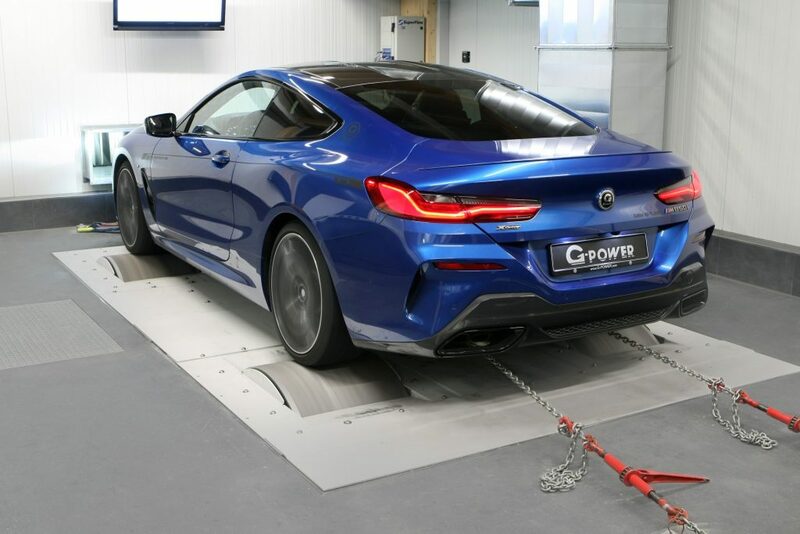 Not too many individuals out there would think the new BMW M850i xDrive is slow but if you simply cannot wait for the M8 to arrive, G-Power have the answer. The tuning company has revealed they are developing a tweaked version of the M850i xDrive. The sleek Bavarian creation comes with 523 hp (390 kW) and 749 Nm of torque as standard but G-Power are working on a Stage 1 and Stage 2 offering. BMW Blog reports that the Stage 1 upgrade package will see horsepower soar to 611 hp (455 kW) while torque will jump to 850 Nm. The Stage 2 package will take things to entirely new levels with the headline figures jumping to 660 hp (492 kw) and 890 Nm of torque. That is very likely to be more powerful than the future M8 Competition. G-Power hasn’t detailed how it will achieve these monumental gains in horsepower and torque, but likely modifications include a new exhaust system, bespoke ECU, and perhaps new turbochargers.